Q. Do I need to wear a medical face mask? The Centers for Disease Control and Prevention says they are unnecessary and does not recommend them. There's no proof they work and can impair breathing. Staying at least six feet away from sick people will isolate you from H1N1 virus that travels on airborne droplets from sneezes and coughs, the CDC says. Also, health officials say privately that Americans are not as used to seeing masks as in other countries, and may get panicky to see them. 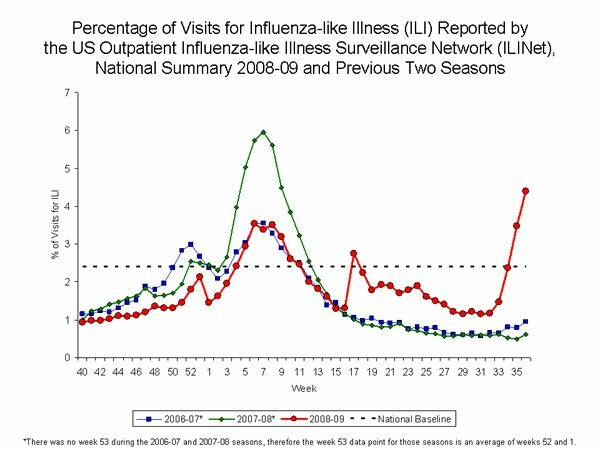 But if it makes you feel safer, the CDC says consider a mask if you are at elevated risk for flu (pregnant women, up to age 24, chronically ill) and must be in crowds, or if you care for a flu patient. Surgical-style masks are inexpensive. N95 respirators filter out smaller particles, but do no good if not fitted right. For more, visit the CDC at www.cdc.gov/h1n1flu/masks.htm or call 800-232-4636, or the state Department of Health at www.myflusafety.com or 877-352-3581. 米国、new recommendations from the American Academy of Allergy, Asthma &Immunology. ・２１州が広範に流行と報告。Alabama, Alaska, Arizona, Arkansas, Florida, Georgia, Illinois, Kansas, Kentucky, Louisiana, Maryland, Minnesota, Mississippi, Nevada, New Mexico, North Carolina, Oklahoma, Pennsylvania, South Carolina, Tennessee, and Virginia. 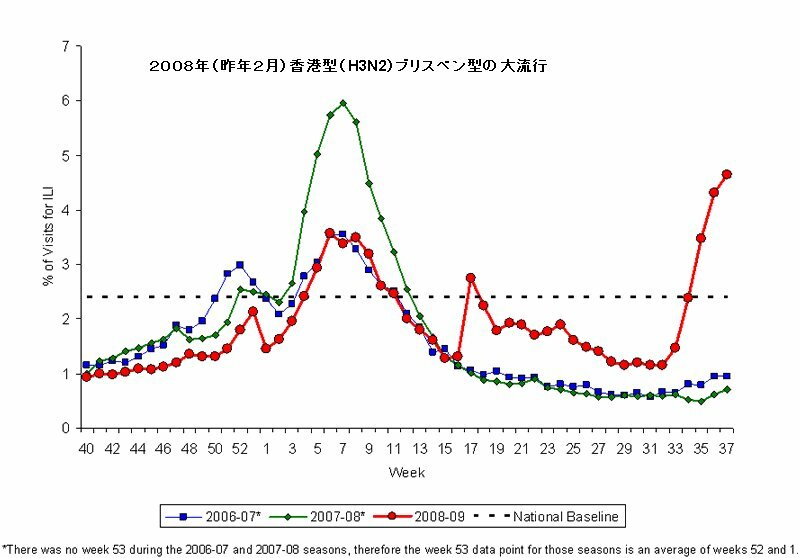 冬期間、東南アジア諸国でブタインフルエンザ大流行が発生するとＷＨＯは警告。重症患者を収容するための医療機関の整備が急がれると説明。流行のペースを落とすためにも、手洗い、咳エチケット等の個人的予防対策を徹底することが重要と強調。Bangladesh, Bhutan, North Korea, India, Indonesia, the Maldives, Myanmar, Nepal, Sri Lanka, Thailand 、 East Timor. Table 2. Dosing recommendations for antiviral treatment or chemoprophylaxis of children younger than 1 year using oseltamivir. Table 1.Antiviral medication dosing recommendations for treatment or chemoprophylaxis of 2009 H1N1 infection. One of Connecticut's top health officials says closing schools and wearing facemasks won't prevent the expected spread of swine flu this fall. State Epidemiologist Matthew Cartter also told the state Board of Education on Wednesday that wiping down surfaces with disinfectant won't work either unless it's done during the school day. 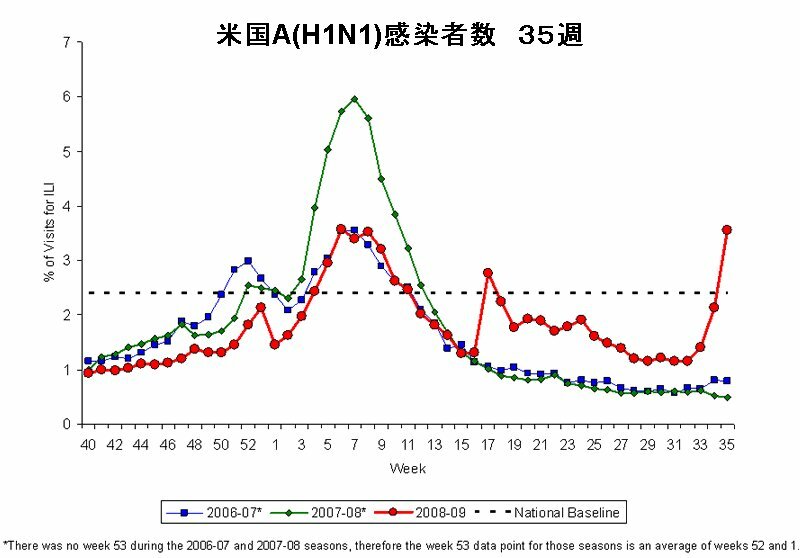 Health officials say as many as 1 million state residents may catch the H1N1 virus when the second wave of the expected pandemic hits, but most will recover. Cartter says sick students and teachers should stay home, and everyone should wash their hands often, cover their sneezes and get a flu shot. The two-dose influenza A vaccine is expected to be available in late October or early November. 米国市場に対して５社がワクチンの臨床試験を行っている。１０月中旬にはそれらワクチンが使用可能になると思われる。そのようにＣＤＣでは説明しているが、、これら臨床試験の結果で、ワクチン接種が１回で済むか、または２回になるか決定されるようだ。：AstraZeneca's MedImmune unit, CSL Ltd, GlaxoSmithKline Plc, Novartis AG and Sanofi-Aventis SA.